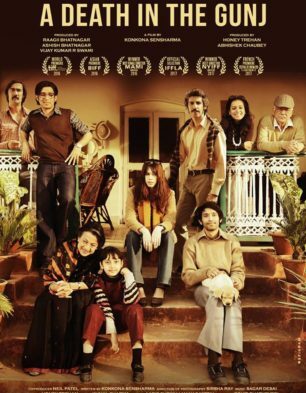 Studioz IDream, MacGuffin Pictures and Moh Maaya Films’ A Death In The Gunj is a story about how one wrong decision prives fatal for everyone. Nandu (Gulshan Deviah), his wife Bonnie (Tillotama Shome) and their little daughter Tani (Arya Sharma) go to visit Nandu’s parents (Tanuja and Om Puri) in McCluskienganj in Jharkand. The ones who accompany them are Mimi (Kalki Koechlin), who happens to be the sister of Bonnie and Shuntu (Vikrant Massey), cousin of Nandu. One day, the whole family goes on a holiday, they are joined by Vikram (Ranvir Shorey) and Brian (Jim Sarbh). Just as when life goes smooth and tension-free for everyone, they get shocked when they get to know that Tani is missing and no one knows anything about it. If that wasn’t enough, a really shocking incident shakes up the peace of everyone in the family. What is the shocking incident and what happens to Tani is what forms the rest of the film.